There is a misconception that when you send out emails to individuals on your emailing list you are trying to sell something to them. Although in some cases, you may be sending out emails with every intention of selling your services to them that does not have to be the case with everything. People seem to forget that e-mail is still a great marketing tool that can get you the referrals you want from past patients. As an owner of a physical therapy clinic, you know how important it is to maintain good relationships with your past and current patients. If your patients are happy with the services, you offer they are more likely to return or refer their friends and family to your clinic. You way to stay in contact with you patients is through e-mail. This does not mean sit down are write them asking about their life, it means sending them e-mail marketing to keep you in the back of their mind. As a physical therapist you have a unique opportunity to use e-mail marketing to remind your former patients you are available should they need help. Your e-mails also offer an opportunity to keep you in the back of their mind in case someone they know and love should need help from a PT clinic. Whenever you send out an e-mail to people on your contacts list, it does not have to be something promoting your services. The reality is when it comes to e-mails from a physical therapist or a PT clinic there are so many other options available. E-mail can be a tool used to let people know you have a new post on your blog, which is a necessary tool for your PT clinic and marketing campaign. Here is an example of how using indirect sales techniques can cause old patients to return, or how new patients can end up at your clinic courtesy of a referral. You write a blog post discussing ways to alleviate back pain, or sore shoulders. The e-mail reminds the person reading it of a family member suffering from one of these conditions and suggests they go see you. That same person may have one the issue themselves so they contact you to get help with their problem. Was the intention of that blog post and e-mail to get people to come to your clinic, no, it was not. You were simply providing information with the expectation that anyone who clicked the link and read the article would never call just head your advice. Along with the indirect approach, sometimes it is good to remind former clients that you are still available to help and you would be happy to see them return. You can do this by sending direct sales e-mails stating you hope they are feeling well. You can state you are checking to get an update on their condition since they last saw you. Perhaps you can offer them a discount of some kind if they choose to return. You can also do what many companies of all types are doing and offer them a discount when they refer a friend or family member. 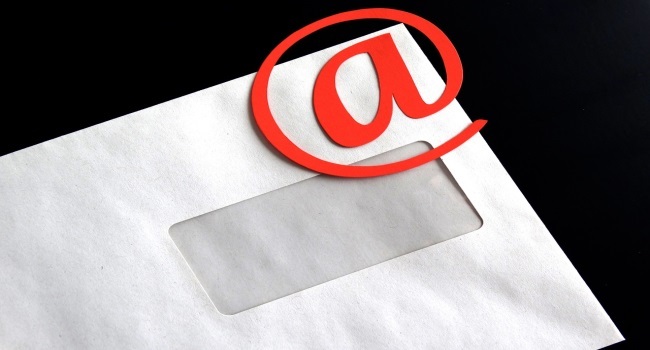 Another important factor to consider with your e-mail marketing campaign is who you want to receive your information. You may consider focusing in older generations as the younger set are less inclined to need your services as people in their fifties or older. Furthermore, e-mail is a better way to target those more mature potential clients as they are more inclined to use e-mail than the younger generation who chooses to use other forms of social media. Use your e-mail to send direct and indirect sales to your target audience and see how your client base changes. PatientSites.com can help you with your email marketing. Take a look at the various features that we can offer and get in contactnow to discuss your needs.